Pure. Sea. Salt. Atlantic Saltworks hand-harvests and filters seawater from the shores off of historic Gloucester, Massachusetts. After the water is as clean as can be, they apply lots of heat. The water evaporates and the delicate salt flakes remain thanks to this simple, traditional process. 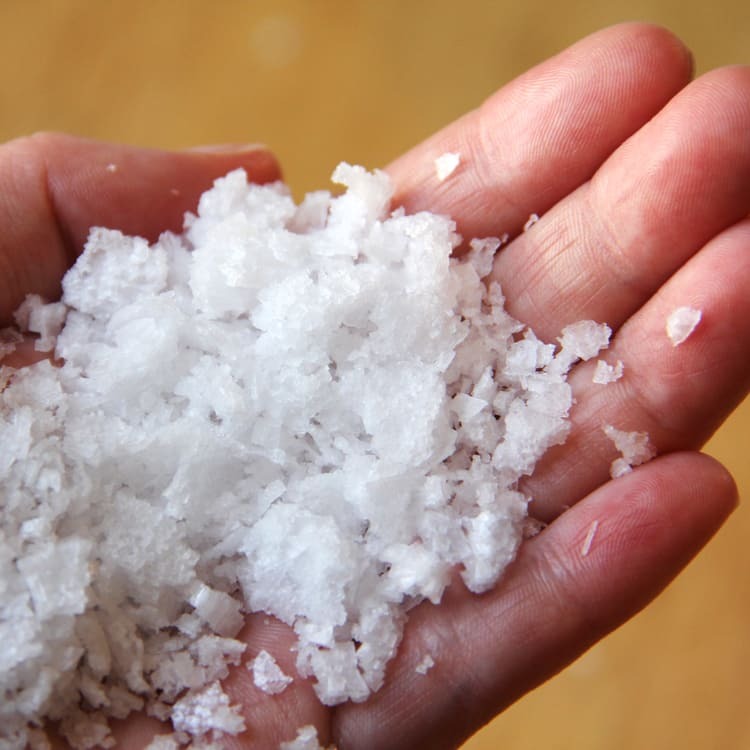 Atlantic Saltworks salt has no added chemicals – no added anything! The naturally briny and clean flavor of the crunchy flakes makes food pop. This salt is used by chefs on our Food Tour, and can be found at Tour Partners Jodi Bee Bakes and Salem Spice.